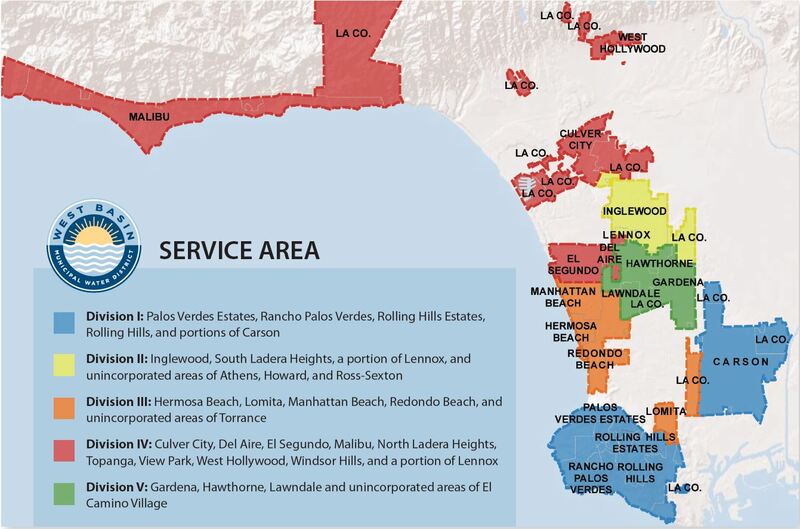 Determine your service area division on the color-coded map. Click on the correct link below the map to contact your West Basin representative. Let your representative know that seawater desalination is the most expensive, energy-intensive option for LA's water supply, and you want West Basin to pursue a "4R" - Reduce, Reuse, Recycle & Restore - approach to promoting local water supply, instead of desal!